Warranty | Drew Roofing, Inc.
Drew Roofing offers a one year transferable warranty on all repairs. Drew roofing offers a ten year transferable workmanship warranty on all replacement/new roof systems. All GAF shingle systems include a purchased GAF System Plus Limited warranty at no cost to you. GAF has awarded Drew Roofing with the MasterElite Award. Only the top 3% of roofing contractors in North America receive this, It is based on quality, service and value and Drew Roofing is honored to receive this award. This enables them to be able to offer the Golden Pledge Warranty to their customers. Please check out the link below for more information on GAF warranties. All of our customers receive the GAF Weather Stopper warranty at no extra charge. 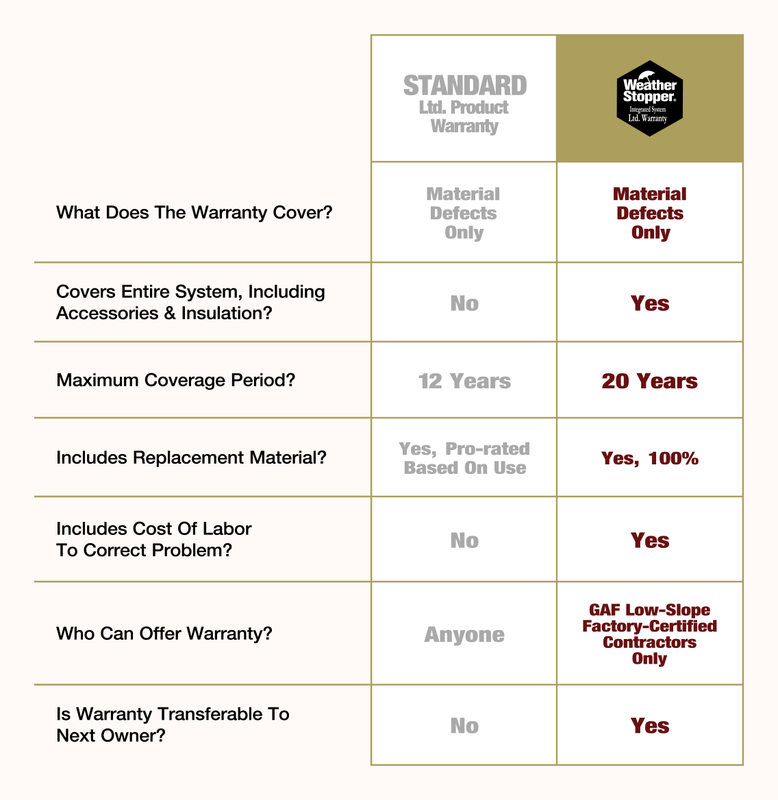 See the chart below to find out what makes the Weather Stopper warranty so great!